Former Irish Gold Cup hero Edwulf is a possibility to represent Joseph O’Brien in the Randox Health Grand National. O’Brien has carried all before him so far in his short career to date, winning Australia’s greatest race, the Melbourne Cup, with Rekindling in 2017 and the 2018 Irish Derby with Latrobe. 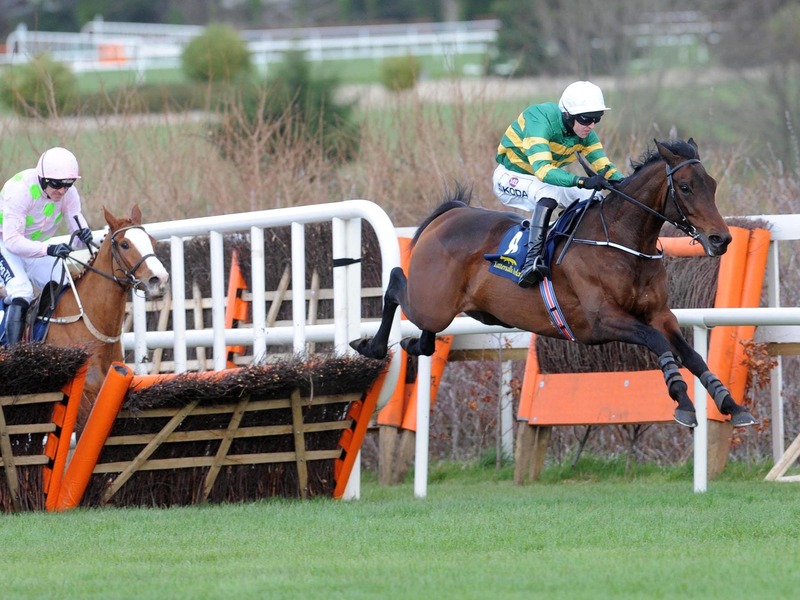 His biggest jumps success to date was provided by Edwulf at Leopardstown last year. 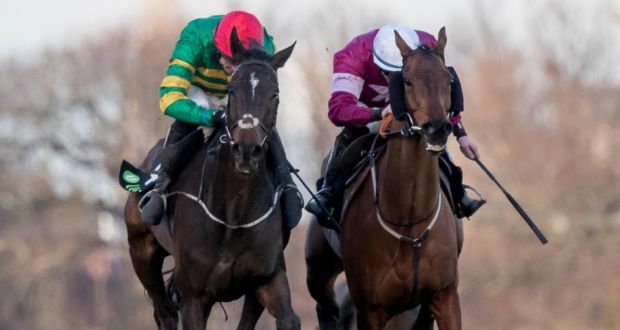 Given 11st 1lb in the initial weights for Aintrre on April 6, the JP McManus-owned 10-year-old was eighth in the Savills Chase at Christmas and most recently third in the Red Mills Chase over two and a half miles at Gowran. O’Brien said: “The Randox Health Grand National could be a possibility for Edwulf. “We have been slightly disappointed with him this term. 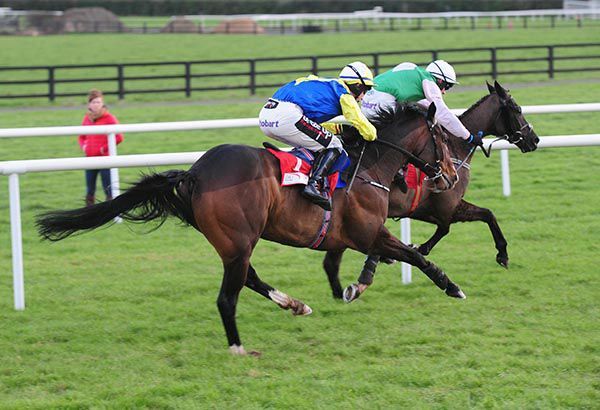 He ran OK at Gowran Park last weekend when he jumped well, but just got tired in the closing stages. “He is not entered in any races at the Cheltenham Festival, so I’m not too sure where he goes next, but we will keep our options open. O’Brien’s father, Aidan, had one runner in the National when he was primarily a jumps handler in the 1990s, saddling Life Of A Lord to come home seventh to Rough Quest in 1996. 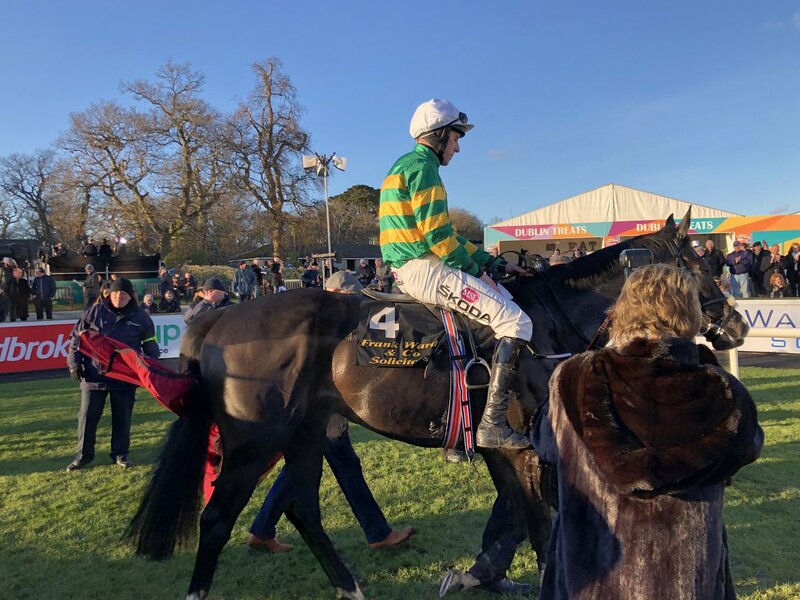 Gigginstown House Stud's two weekend winners came in bumpers and the second of those, Midnight Run, landed the concluding Paddy Power (Pro-Am) Bumper at Naas today for trainer Joseph O'Brien and jockey Tom Hamilton. 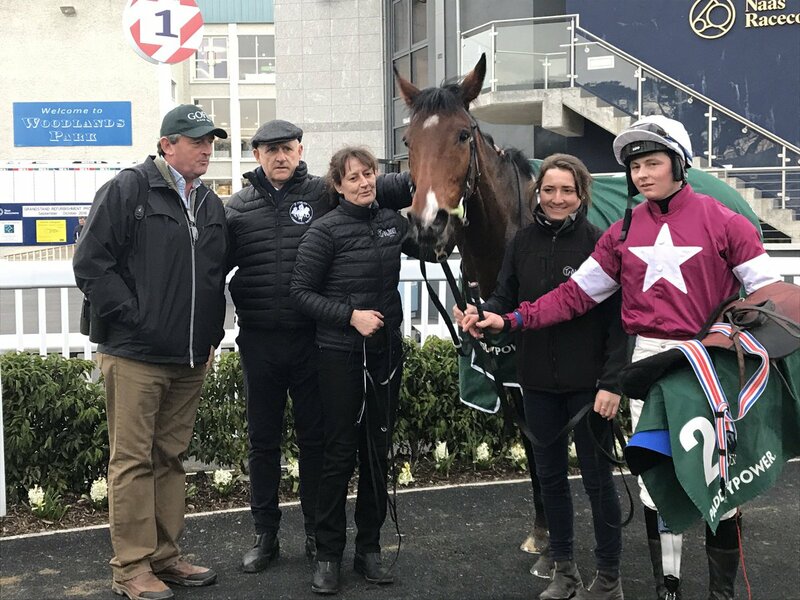 Gigginstown won yesterday's bumper finale at Fairyhouse with Gordon Elliott's Fury Road and Midnight Run today quickened up well in the home straight to beat Column Of Fire by three and a half lengths. O'Brien wasn't present and Hamilton later said “he’s come on a lot and he’ll come on again. He won first time out in Galway very well, and he had a good run in the Listed bumper behind Envoi Allen who everyone knows about. He’s come forward lovely and did that well. A beaten favourite on debut 119 days back, Jupiter Road (11s into 8s) struck on his second outing in the Irish Stallion Farms EBF Median Auction Maiden (Plus 10 Race) at Dundalk. Trained by Joseph O’Brien and ridden by Shane Crosse, Jupiter Road did edge right, and had to survive a stewards enquiry before being confirmed the head victor over Oneiroi (10s into 8s). In a good sign for the front pair they drew on by four and a quarter lengths from the third home It’s Not Too Late. A gamble on Marshall Law (13/2 into 3/1) went astray as he could manage only fourth after a front-running effort. “We went a good strong pace the whole way. He was probably a bit disappointing first time out but we thought a lot of him,” said Crosse. “He had a good break and it's probably made him for this run. He hit the front fairly soon but he put the race to bed which is the main thing. “His first run did him the world of good and he was a completely different horse today. Hopefully it's onwards and upwards with him now. A final decision on which race Fakir D’Oudairies will contest at the Cheltenham Festival is unlikely to be made until the “last minute”, according to his trainer Joseph O’Brien. 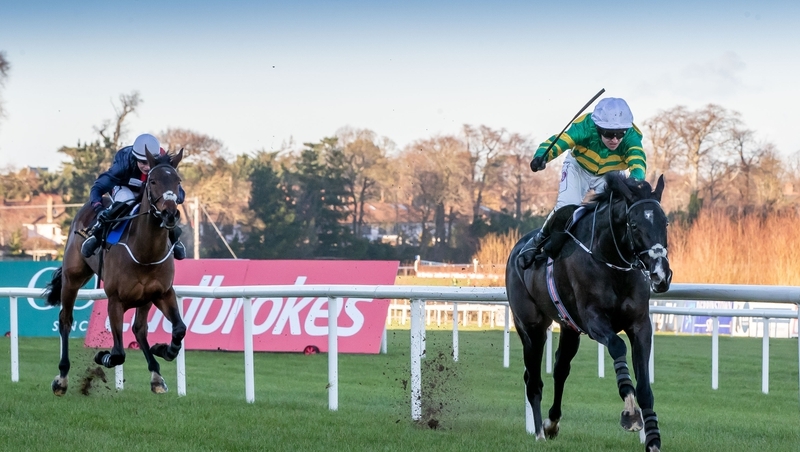 After making a successful Irish debut at Cork in early January, the French recruit annihilated his rivals in a Triumph Hurdle trial at Prestbury Park later in the month to move towards the head of the betting for the juvenile championship itself. 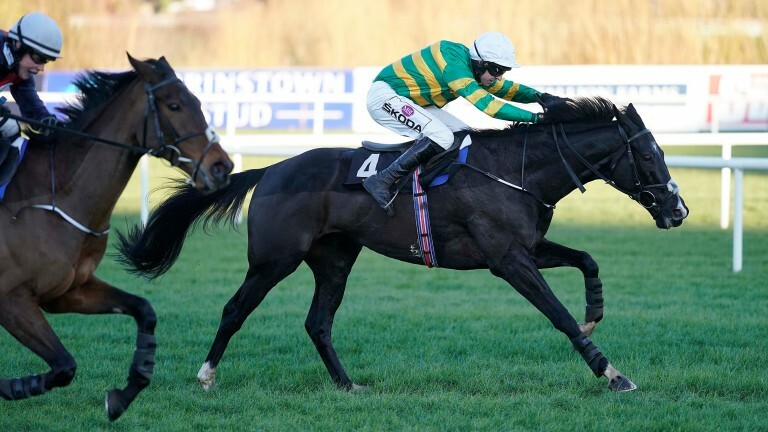 However, O’Brien also houses the hot favourite for the Triumph Hurdle in the hugely exciting Sir Erec and with his owner JP McManus having recently purchased Fakir D’Oudairies from M L Bloodstock Ltd, it appears likely he will split his aces and run the latter in the Supreme Novices’ Hurdle. Speaking at a Cheltenham Festival press event at Punchestown on Wednesday, O’Brien said: “He (Fakir D’Oudairies) has entries in some of the novice races and the decision will be made at the last minute, I would say. JP and Frank (Berry, racing manager to McManus) will make the decision, ultimately. “He looked very good in Cheltenham the last day and I think he has a big chance wherever he’s going to go. “I suppose it would make sense to split them up and Sir Erec doesn’t have entries in the novice races, whereas Fakir does. “The logical thing would be for him to go for one of the novices and Sir Erec to go to the Triumph, but the horses have a full preparation to go through and they have to get there in one piece. Fakir D’Oudairies is a best priced 5-1 second favourite for the Supreme Novices’ Hurdle – the Festival curtain-raiser. His odds for the Triumph Hurdle range between 5-1 and 9-1, with Sir Erec the short priced favourite at 6-4. Smoking Gun blasted home after the last flight in the Racing TV Handicap Hurdle to give Joseph O'Brien and Rachael Blackmore trebles on the card. The well backed 4/1 favourite began his move after the fourth last and improved to sixth three out. 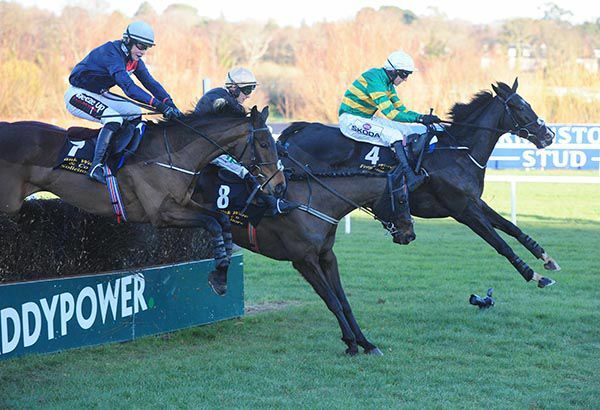 He tanked into third rounding the home bend and challenged Kilkeaskins First jumping the penultimate obstacle of this two and a half mile race. Blackmore sent him on and once he was given the office on the run-in he scooted right away in the final 150 yards to win by two and a half lengths at 4/1. Stablemate West Coast Time flew home on the run-in to grab second at 14/1 and is certainly one for the notebook. The placings were completed by Shar Whats Therush (11/2) and Brave Out (16/1) in third and fourth respectively. Joseph O'Brien said: “That was good. Over two miles on good ground it just all happened a bit quick for him the last day. “He went up in trip today and the bit of juice in the ground helped him too. Rachael gave him a lovely ride. “He's an improving horse. Last year he didn't show much in bumpers but he did well on his winter's break and improved. Darasso ran out a dominant winner of the Red Mills Trial Hurdle at Gowran Park. 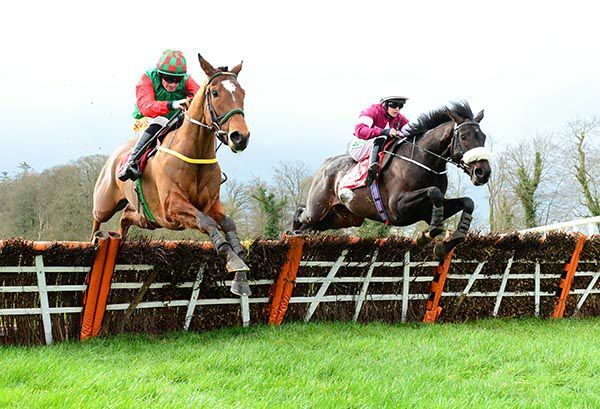 A multiple winner over hurdles and fences in his native France, the JP McManus-owned six-year-old was pitched in at the deep end on his Irish debut last month - finishing fifth behind Cheltenham Gold Cup favourite Presenting Percy in the Galmoy Hurdle at this venue. Dropping from three to two miles for this Grade Three assignment, Joseph O'Brien's inmate was a 2/1 joint-favourite - along with the Gordon Elliott-trained Coeur Sublime - and was settled in behind the pace-setting Forge Meadow much of the way. Darasso had to be nudged along heading out on to the second circuit as last year's winner Forge Meadow attempted to make all. However, O'Brien's runner responded to Barry Geraghty's urgings - and after mastering Jessica Harrington's mare in the straight, ultimately went on to win emphatically by 11 lengths. O'Brien said: "He ran well enough here the last day in a good race, but I'd say coming back in trip was a help to him - and he likes soft ground. "Barry gave him a good ride - he kept him in the race without forcing him too much. "I guess we'll stick to these kind of graded races, because he's too high really for handicaps. "He could have a shot at a Grade One later in the year." Star Max kept on best in the final 100 yards to beat Future Proof in the opening maiden hurdle at Gowran Park. The pair raced handily behind front-running Aim For Glory who crashed out at the second last leaving Future Proof in front. Future Proof was soon ridden by Sean Flanagan as Star Max and Rachael Blackmore closed on the run to the final flight. It was Future Proof who held a narrow advantage jumping it and he looked to be coming home best inside the final furlong. However, Blackmore got into the drive position and her mount responded to get up in the latter stages and win by half a length at 5/2. Future Proof went off the 6/4 favourite and he was seven lengths in front of third-placed Christopher Robin (16/1). Trainer Joseph O'Brien said: “Rachael gave him a great ride because he's an awkward fella. “He jumped a bit better today and Rachael had to be strong on him. Glen Of Aherlow put four poor runs in maidens behind him to score at the first time of asking in handicap company in the Minorstown Handicap Hurdle at Clonmel. The Getaway gelding, who cost 160,000 as a three-year-old store at the Goffs Land Rover Sale, was weak enough in the market here going off a 6/1 chance. The complexion of the race changed a number of times in the straight with Buttevant Boy left in a clear lead after Definite Doyenne took a fatal fall two out. Marino Marvel then threw down a strong challenge which got him briefly to the front on the run-in but Mark Walsh timed things to perfection on Glen Of Aherlow. The Joseph O’Brien-trained gelding pounced late to land the spoils by three quarters of a length. Marino Marvel took the runner-up spot with Buttevant Boy another length and a quarter away in third and 11/2 favourite Macho Mover in fourth. Winning owner JP McManus' racing manager Frank Berry said, "He got his jumping together today and is learning all the time. "He liked the ease in the ground and will jump a fence in time. We'll look for something similar next." Gigginstown House Stud and Joseph O'Brien got on the score-sheet for a second time on the day at Naas when Eviscerating (12s into 10s) just held on in the Adare Manor Opportunity Handicap Hurdle. Gigginstown struck in the previous heat with Roaring Bull (Gordon Elliott and Jack Kennedy) whilst O'Brien was on the mark in the race before that again through Band Of Outlaws (Justin Carthy and J J Slevin). The winning owners and trainer actually had the 1-3 here with Eviscerating (Evan Daly) and Commandant (Hugh Morgan) but connections and backers of runner-up Coral Blue (20s into 16s) were most unfortunate. He didn't get the clearest of runs but when Eric Roche secured a passage up the inner on the run-in, it looked like Seamus Fahey's charge would get there. As it happened though Eviscerating (in first-time cheek-pieces) was 'bobbing' at the right time and just prevailed by a nose from Coral Blue in a finish of Galway conditional jockeys. “Evan gave him a good ride. It's a good job the horse has such a big head!” said O'Brien. “I thought he was beat but when we saw the replay, I was standing with Eddie, and his head was down at the line so we thought he had a little chance because he hit the line well. “In those 50/50 ones you'll come out the wrong end half the time and the better side the other half. Joseph O'Brien ran two in the EMS Copiers Rated Novice Hurdle at Naas and it was the outsider of the pair, Band Of Outlaws (100/30 into 5/2) that impressively came out on top. Stable companion Konitho (11/10 favourite) disappointed in fifth on his first start for J P McManus, but O'Brien's Band Of Outlaws stepped up to the plate in style. Front-runner Maze Runner made a mistake at the last and J J Slevin's mount Band Of Outlaws slightly faulted there too. However he asserted in a lightning fast fashion, bounding away to seal the deal by four and three parts of a length. Justin Carthy owns the patiently ridden Band Of Outlaws and O'Brien said: "I'd say the race suited him as they went slow. He was a seven furlong horse or miler on the Flat, it turned into a bit of a sprint and that probably suited the quickest horse in the race. “He might be one to stay at home. I don't know if he'd be one for the Triumph or not. On Konitho the Piltown operator remarked: “You'd have to say he was a little bit disappointing. The race probably didn't suit him as he's a bigger, more of a staying, type of horse. “They went probably went a good even gallop here in his maiden hurdle but you'd be a little bit disappointed alright." 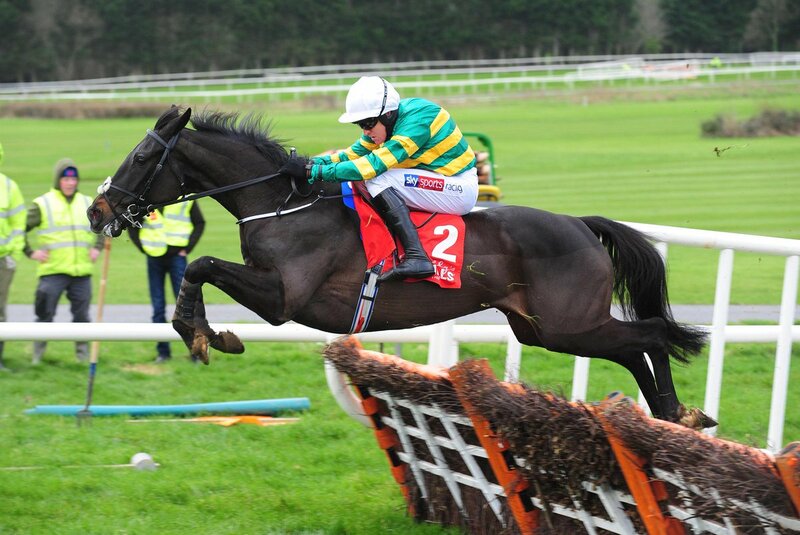 Band Of Outlaws is 10/1 from 25/1 for the Triumph Hurdle with Paddy Power. They go 8/1 joint favourite from 10/1 about Band Of Outlaws for the Fred Winter. Joseph O'Brien recorded a treble on the night at Dundalk when Chess Grand Master stayed on stoutly to land the two-mile BetVictor Race. Wayne Lordan did the steering again on the Galileo gelding having won a mile-and-a-half maiden on him here last month. Lusis Naturea jumped out and soon opened up a long lead in the race but came back to the field early in the straight. 5/2 shot Chess Grand Master hit the front with a furlong-and-a-half to run and asserted inside the final furlong for a three-and-three quarter length success. Lordan said:- “He’s a lovely horse. He won a mile and a half maiden here a couple of weeks ago and stepping up to two miles wasn’t a problem as he’s a bumper winner. “I thought (beforehand) if I could make it a stamina race because there was a question about Kerosin’s stamina. He’s a grand horse. “The one in front was going a good gallop and I didn’t think he was going to keep going. My horse was comfortable, and he was able to pick up from four (furlongs) out. “He’s straight forward and handles this surface and the grass. Seamie Heffernan recorded a quick double for Joseph O'Brien at Dundalk tonight when producing The Game Of Life late on to land the mile handicap on the card. The lightly raced Oasis Dream gelding was making it two from three at the course having won his maiden on debut, in December, before finishing runner-up to Ahlan Bil Zain here last month. Heffernan restrained his mount in mid-division before asking him for an effort passing the two furlong pole. The 13/8 favourite started to take closer order passing the furlong pole and chased down Sevenleft in the closing stages to get up for a three-parts-of-a-length win. 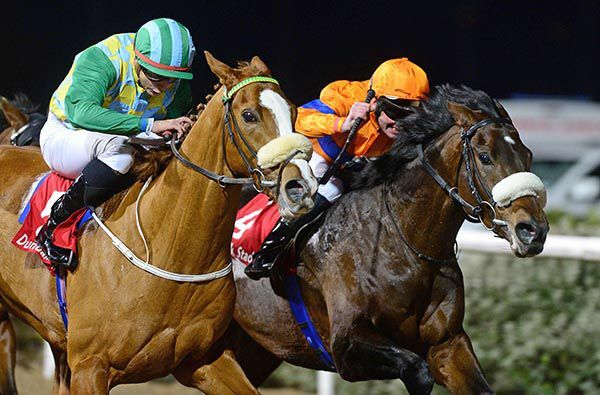 Heffernan said: “He’s a nice horse and a bit of inexperience caught him out the last night. When you get into him in the last furlong he opens up and puts his head down. The winning Rugby & Racing Syndicate includes Irish rugby internationals Fergus McFadden and Keith Earls. Numerian turned around form with stable-mate Colfer Me to run out a decisive winner of the STAGIT.ie / HENIT.ie Race at Dundalk tonight. Colfer Me went to post the 4/5 favourite for the four runner event over seven furlongs and took them along in the early stages. He was claimed over a furlong from home, however, by Sky Seven as Numerian tracked the leading pair. Seamie Heffernan produced the 7/1 shot to lead inside the final 100 yards and record a cosy length success over Sky Seven. The hotpot was two-and-a-half lengths back in third. Numerian had chased home Colfer Me in handicap company, over a mile, here a fortnight ago and was just a pound better off for that two-and-three-quarter length beating. Heffernan said afterwards:- “It was probably my fault that he wasn’t closer the last night. I asked him to jump and he raced too keen. “I didn’t rev him up (tonight) and he got the last furlong really well. He’s a fine big horse. 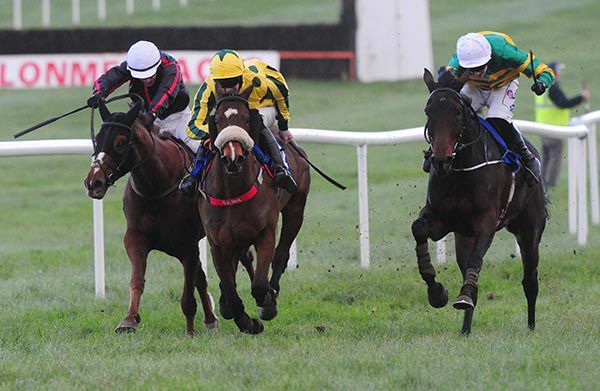 Derek O'Connor completed a first and last race double at Thurles when Sempo put in the performance of the day at the County Tipperary venue in the Munster INH Flat Race. O'Connor started the afternoon with success in the beginners chase on the Ellmarie Holden-trained Ex Patriot, and here for Joseph O'Brien the point-to-point legend chased the leaders on the well-backed 11/8 favourite. Third at the halfway stage, the Oscar gelding improved to lead four furlongs out, and he careered away from the two pole to slam Casamari Abbey by fifteen lengths. Second market choice Amen Korner (a full-brother to Augusta Kate) beat only one home on debut. "We always liked him a lot and he ran well at Christmas and it was nice to see him put it all together today. You don't expect them to win like that and we thought he was a decent horse all along and I'm delighted for Martin (O'Sullivan)," said Joseph O'Brien on Sempo. "He's probably good enough to line up in any bumper but I don't know if we need to over-race him. He has had three runs in bumpers now and I don't know what advantage to him it would be to win a winners' bumper so I'll talk to Martin and see how he comes out of the race. 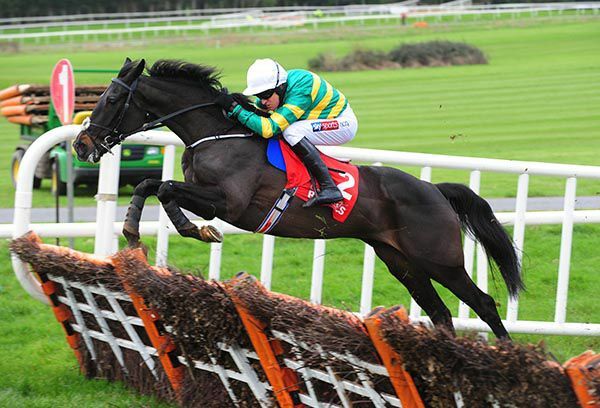 "He's an exciting type of horse to go novice hurdling next year." Joseph O’Brien recorded a 1-2 in the Tattersalls Ireland Spring Juvenile Hurdle at Leopardstown as Sir Erec enhanced his reputation from the front under Mark Walsh. The son of Camelot was a decent stayer on the Flat last year when trained by O’Brien’s father Aidan, and got his jumping career off to a bright start when successful here at the Christmas Festival meeting. Walsh elected to make all on the 13/8 favourite, and the Listed winner on the level stayed on strongly to draw clear on the run-in. Six lengths was the winning margin at the line over stable-companion Gardens Of Babylon, with Surin finding no extra another half a length away in third. O’Brien said, “He jumped well today. Making the running wasn’t ideal but he’s uncomplicated and Mark gave him a lovely ride. He got him into a great rhythm and he said he jumped on the bridle at the second last. He’s hugely exciting. “He’s two out of two (over hurdles) and while you would love to have more experience, he’ll probably head to the Triumph Hurdle now. “He sprinted from the back of the last. You would have said stamina would always have been his forte but he showed plenty of speed today. He’s won on testing ground (on the Flat) at Limerick so he’s versatile. 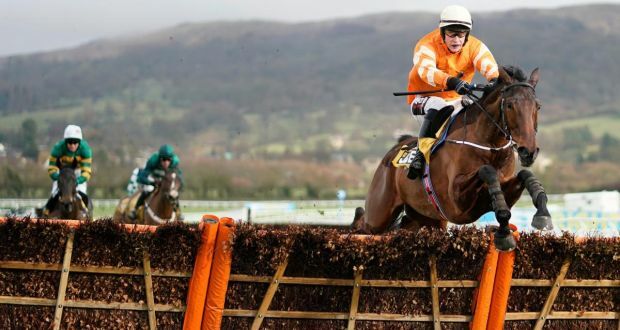 “Fakir d’Oudairies had three runs over hurdles and two runs over fences in France and this fella is only having his second run over hurdles so experience wise there is a big difference but I don’t know if he’d have the engine of this fella. 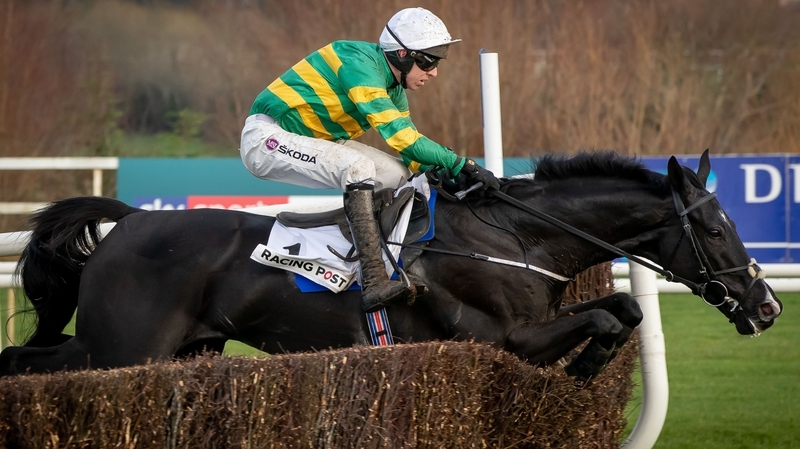 Sir Erec is now clear favourite for the Triumph Hurdle with Boylesports and Ladbrokes going 11/4 and Paddy Power 5/2 (from 6/1). O'Brien also has the second favourite for that race with Fakir d'Oudairies a general 5/1 chance. 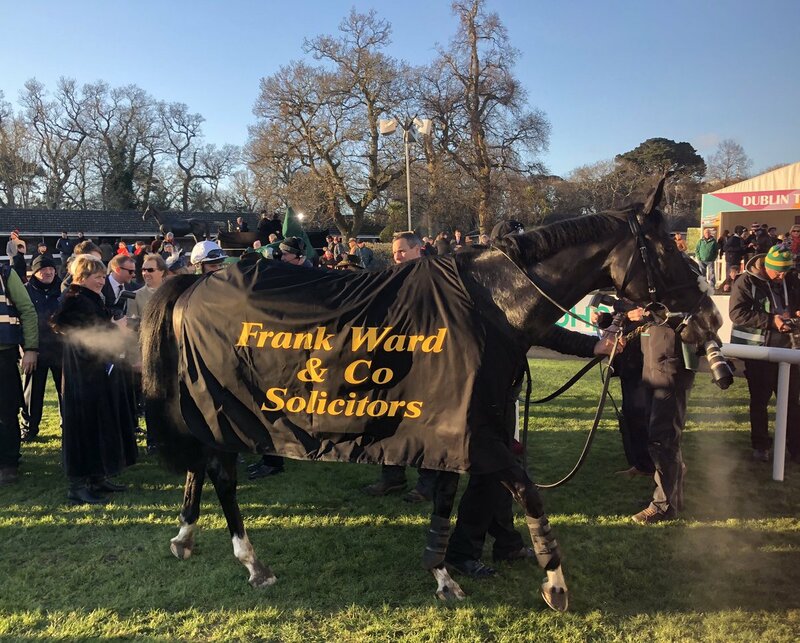 Le Richebourg recorded a Grade 1 double at Leopardstown when claiming the Frank Ward Solicitors Arkle Novice Chase this afternoon. Joseph O'Brien's charge excelled when dropped back to two-miles-one at the Christmas meeting here at the Dublin track and repeated the dose today. Mark Walsh tracked the leaders into the straight on the 11/10 favourite before launching his challenge going to the final fence. He had just gained a narrow advantage at the last when rival Voix Du Reve crashed out. The hotpot came home strongly to record a seven-length success over stable-mate Us And Them. “He jumped well on the whole and when he had to clever he was. Mark gave him a lovely ride and he was very cool on him,” said O'Brien. “There was a bit of drama throughout the race. I was delighted he was able to avoid that and he put in a good round of jumping. “They went strong and fast and it tested a lot of horses' jumping. He was good an clever at the last. “Obviously he made a little mistake at the last here at Christmas and it was good to see him learn from that. “A bit of nice ground is important to him. He was a good hurdler, he was fifth in the Galway Hurdle and we were a bit disappointed with him but the form of the race has worked out unbelievably well since. “He's very exciting and I'm delighted. He's won over two-and-a-half so he can go two-and-a-half. It think he needs a strong pace and we'll stick at two for the time being. “We'll see how he comes out of it but the Arkle now would make a lot of sense. “It's going to be an even bigger test there and there'll probably go even faster. I couldn't be happier and winning a Grade 1 is massive. “Us And Them ran a cracker and he jumps well. He's an outstanding jumper and would have a chance of going to the Arkle as well. Aintree might suit him too. Unibet made the winner 7/2 favourite, from 6/1, for the Arkle at Cheltenham while Paddypower are 9/2 from 13/2. 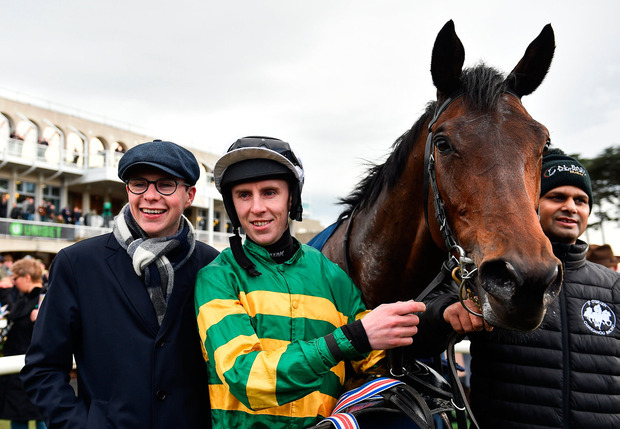 Joseph O’Brien is looking to further strengthen his hand in the four-year-old division as Sir Erec bids to follow up his debut win in the Tattersalls Ireland Spring Juvenile Hurdle at Leopardstown on Sunday. O’Brien dominated a Triumph Hurdle trial at Cheltenham last weekend when Fakir D’Oudairies beat stablemate Fine Brunello and this time he saddles three with Filon D’Oudairies annd Gardens Of Babylon also lining up. 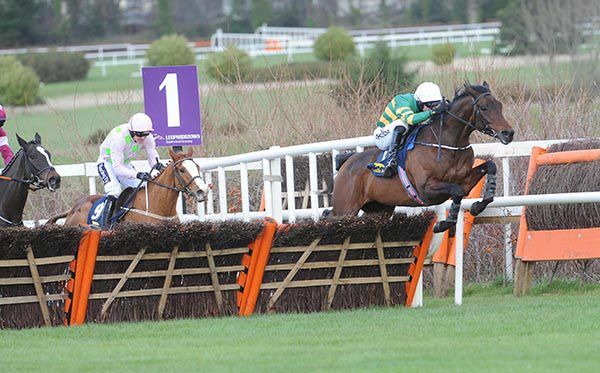 “Obviously we were very happy with that for his hurdle debut. He’ll have to step forward and hopefully he’ll be able to do it,” said O’Brien. O’Brien was credited with preparing Ivanovich Gorbatov when he won the Triumph Hurdle in 2016, but it was before he had officially started training. 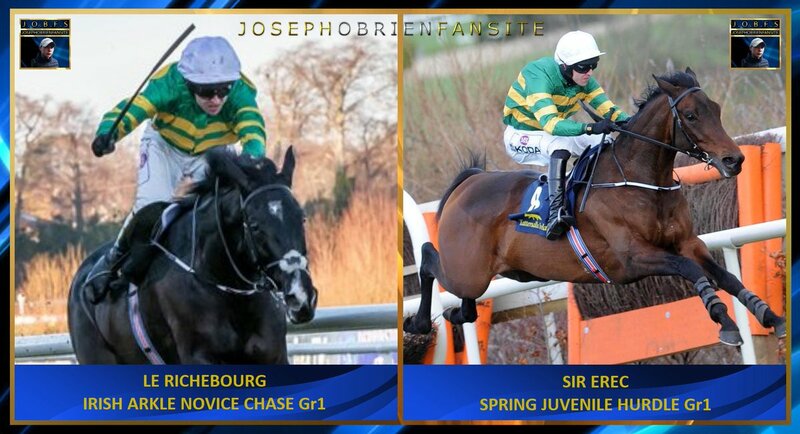 Asked to compare Sir Erec with Ivanovich Gorbatov, he said: “They are two completely different horses, so it would be very hard to compare them. “The had similar enough ratings on the Flat, but this lad’s a much bigger horse and maybe wouldn’t have the miles on the clock that Ivanovich did. Joseph O’Brien is taking nothing for granted ahead of Le Richebourg’s tilt at the Frank Ward Solicitors Arkle at Leopardstown. 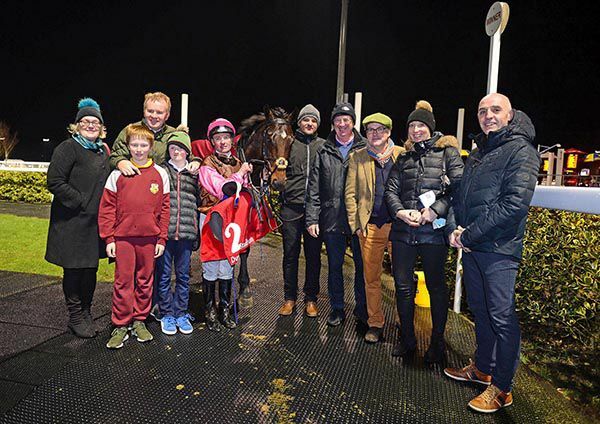 The JP McManus-owned six-year-old was a high-class performer over hurdles – but has already surpassed those achievements since having his attentions turned the larger obstacles, winning three of his four starts. 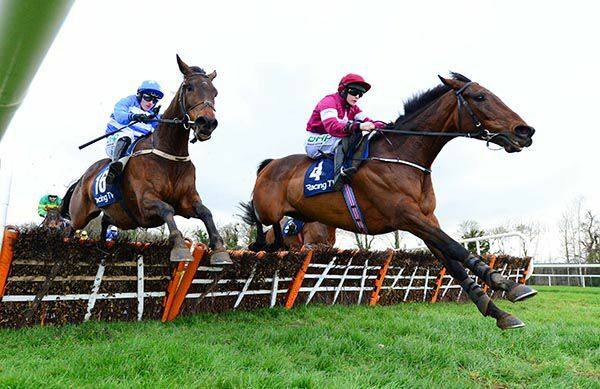 After being narrowly denied a top-level win by Delta Work in the Drinmore Novice Chase at Fairyhouse, Le Richebourg did claim Grade One glory over this course and distance in December and will be a warm order to follow up on Saturday. O’Brien said: “We were obviously surprised that he won as well as he did at Christmas, but we always thought he would be a better chaser than he was a hurdler. “He seemed to love the drop back to two miles on good ground. “It’s not going to be easy for him. Every horse can get beat any day – we’re very realistic – but he was very good the last time and we’d be hoping he could put in a similar performance to that. Le Richebourg’s stablemate Us And Them filled the runner-up spot over Christmas and is once again in opposition.